Growing up I always loved dirt, and tractors and seeing things grow so I suppose it was natural for me to end up farming grapes here in the Napa Valley. While I'll be the first to admit that it takes more than great farming to be successful in the wine business few will argue that it is the foundation of all we do. With that in mind we created FARM Napa Valley. 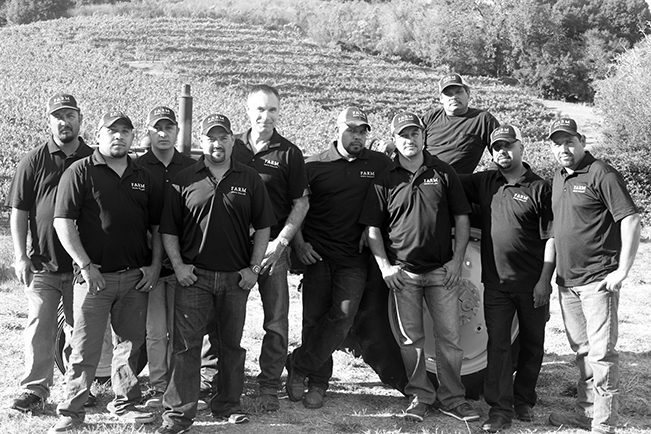 Our logo is inspired by the simple philosophy that the best grapes are grown in the Farmers shadow.